I would call this color 'canary' yellow. Check out the snakeskin leaves on the backs! 3.75" heels. When you are finished, you can check out. 100% authentic! view the pics! Heel; 2 1/8" at rear of shoe. These shoes are 9.5 2A (Extra Narrow). 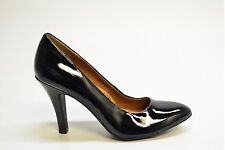 Stuart Weitzman Black Buckle Pointy Toe Leather High Heel Pumps Size 9.5 AA. Condition is Pre-owned. Shoes are in great condition with no defects. See pictures for description. Shipped with USPS Priority Mail. I also donate a portion of each sale to individuals and charities who are making a difference in the world. 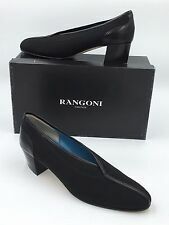 These Bruno Magli Bologna Italy shoes are a black reptile leather in very good condition with very little wear and no spots or tears. 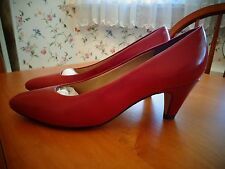 The heels are 3 inches and in good condition. Thanks for looking! One pair is navy blue and the other is a light brown. Notice that the inside sold peels easily but no other issues. Bella Vita Sz 9 N.
Snake print cap toe. 9.8" inside toe to heel. Strap bow tie front. 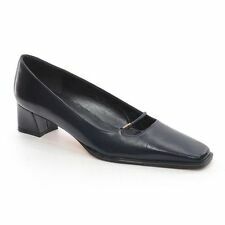 Slip on dress pump. Leather lining. 1.5" heel height. Leather sole. Sold "AS IS". A goergeous pair of gray two-toned shoes that has clearly been worn but even more clearly has been well cared for. You have to see them to believe them. 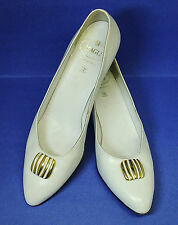 Stuart Weitzman Women's Gold Classic Pumps with mirror heel Size 6.5 . Condition is New with defects. Shipped with USPS Priority Mail. This is a gorgeous and elegant pair of heels! Leather covered heel. Leather soles. Minor wear and minor scuffing. Pictures are a good representation of the condition! Size - 9S. Insole Length approx - 9-7/8". Outside Length approx - na. Material - Leather. MATERIAL: Leather / Satin upper, leather lining / leather sole. COLOR: Light gold. Bruno Magli Womens Leather Sling back with adjustable buckled strap, Kitten Heel ,Rich Two tone, Blue body with Reddish brown toe. 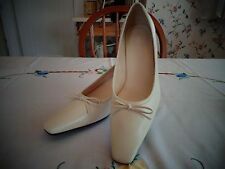 Made in Italy, size 9 AA extra narrow . Excellent used condition. See pictures.... *adhesive residue on heel pad from price tag. Will come off , but i didnt want to rub off name . Size: 5/5.5(?) 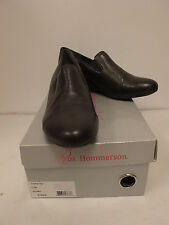 please refer to pictures Condition: Excellent/Mint Color: Black Material: Leather & Rubber Sole Last pair at closing store (No Box) Heel Height Close to: 4.5 Inches & 1 Inch Plat Form. Unique in style and excellent quality! These heels are EXTREMELY RARE. Originally: $780.00! Since description varies from one persons opinion to another, we encourage you to please see all photos. Please ask questions if needed prior to purchasing. We are a small company and ALL SALES ARE FINAL.